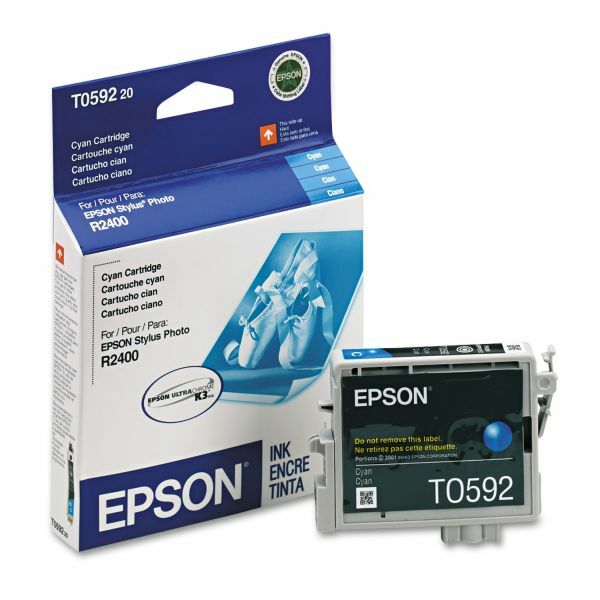 Epson T059220 (59) UltraChrome K3 Ink, 450 Page-Yield, Cyan - Ink cartridge is designed for use with Epson Stylus Photo R2400. UltraChrome K3 ink can produce archival prints with amazing color fidelity, gloss level, and scratch-resistance, while providing consistently stable colors that significantly outperform lesser ink technologies. 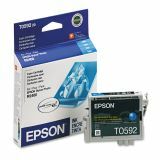 This breakthrough ink technology also makes it the perfect choice for professional neutral and toned black/white prints with higher density levels and virtually no metamerism.